Yesterday, the Minnesota Public Utilities Commission (PUC) approved Minnesota Power’s petition for a new Nemadji Trail gas power plant in a 3-2 decision. 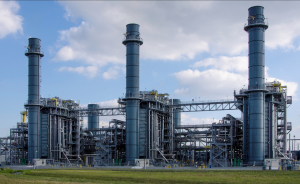 As we’ve followed on this blog, none of the parties who weighed in on this case before the PUC found a need for the electricity that this plant would generate. In contrast, expert consultants for both large northern industry and clean energy organizations independently concluded that the plant was not only unnecessary, but that it could even be more costly to customers than cleaner energy alternatives. A CUB survey found that Minnesota Power customers overwhelmingly opposed the plant. The administrative law judge who reviewed the evidence agreed, finding that the proposal was not in the public interest and recommending the PUC deny it. “The Nemadji Trail project will raise rates, the stated capacity need is in question, and it will emit more carbon,” said Commissioner Katie Sieben, who voted against the project. “It’s a lose-lose for Minnesota ratepayers and the environment.” However, a slim majority of PUC commissioners supported the proposal. Like other large utilities in the state, Minnesota Power is a for-profit company and is entitled to seek a rate of return on its capital investments. Because the costs will likely be paid by Minnesota Power customers, the utility needed approval from the PUC before it could undertake the project. At CUB, we know that transparent, comprehensive review processes are crucial to protect consumers in complex decisions like this. Minnesota Power asked for approval of this plant separate from the normal integrated resource planning process, in which a utility’s entire energy needs and options are evaluated. This limited the degree to which the plant could be evaluated against the utility’s true electricity needs and the full slate of available alternatives. The PUC’s approval hinged largely on the potential for electricity from this plant to help replace coal-fired generation in the future, as aging coal plants inevitably retire. However, that scenario was not considered in any detail in this case. In the future, when Minnesota Power, the PUC, and groups like CUB evaluate the best options to transition from retiring coal plants, we may find that another type of power plant or some other combination of options would have better matched this need. Bypassing the normal review process, especially for major spending decisions, often leads to poor outcomes for consumers. Unfortunately, in approving this plant, the PUC also further delayed Minnesota Power’s next integrated resource plan — the filing in which its entire system, including all projected electricity needs and options, is evaluated. Though state rule requires resource plans to be filed every two years, Minnesota Power’s next plan has now been postponed to October 2020, a full five years after its previous plan. Minnesota Power has said it expects the Nemadji Trail plant to be operational in 2025, and for the plant’s costs to be added to electricity rates after that. CUB will watch closely as this issue develops, and we will continue to advocate for critical consumer protection through proper review of these types of spending decisions.